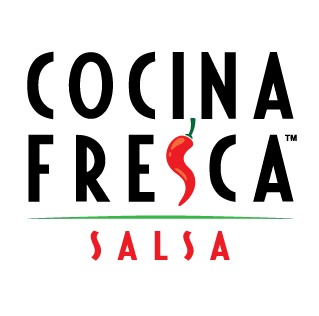 SAN ANTONIO, TX--(Marketwired - August 19, 2014) - SimplyFresco, LLC, a San Antonio based company, announced that it will be expanding its latest and greatest fresh Cantina Style Salsa, Cocina Fresca, to customers in 200+ H-E-B Grocery Stores beginning Wednesday, August 20. Found in the refrigerated fresh produce section, Cocina Fresca Salsa tempts taste buds with Jalapeño Mild, Serrano Medium, Habanero Medium-Hot and Sweet Onion Mild. Fresh vegetables from the garden including premium tomatoes, fresh onions, fresh peppers, fresh cilantro and garlic are mixed with a special blend of spices. The result is fresh, crisp salsa with bright colors and intense, balanced flavors. "We are very proud to introduce our all-natural Cocina Fresca Salsa to H-E-B customers who expect freshness and value when making selections for their family meals," said local SimplyFresco representative. "Our team is passionate about producing the highest quality salsa available while achieving superior customer satisfaction." In order to deliver the ultimate in all-natural freshness, Cocina Fresca Salsa undergoes High Pressure Processing (HPP) as the foundation for its production. A cold pasteurization technique, the salsa is sealed in its package, introduced into a vessel and subjected to 87,000 PSI of water pressure. This investment in this technology allows Cocina Fresca Salsa to retain its fresh garden taste, bright colors, crisp texture, and healthy nutrients without giving up long-lasting freshness. All salsas are packaged in lightweight clear plastic bowls. Cocina Fresca Salsa's shelf life is 120 days from date of manufacture without any use of preservatives, additives or heat processing. Once opened, the product will remain fresh for 7-10 days when proper refrigeration is maintained. Be on the Lookout: H-E-B special promotion - Buy Any One 16oz Cocina Fresca Salsa and receive One pound of fresh Hatch chilies FREE at all participating H-E-B stores. *Our recipes are made with top quality, all-natural ingredients and free of additives, thickeners, and preservatives… the same fresh taste you would expect from a homemade recipe or from an authentic Mexican restaurant. *There are no common allergens in the salsa. They are free of peanuts, tree nuts, wheat, gluten, soy, milk, egg, sesame seed, and shellfish. *Perfect for dipping, topping, & mixing with your favorite dish! *Healthy choice alternative for cream-based dips and salad dressings. *Cocina Fresca Salsas are made fresh For Texans, By Texans. Who Knew Salsa Could be so Healthy? Tomatoes: contain lycopene which prevents some types of cancers by lessening the damage caused by free radicals. Tomatoes are also a good source of beta carotene and potassium. Onions: are low in calories, have no cholesterol and very little sodium. Onions are high in Vitamin C and are a good source of fiber, and quercetin. Studies show quercetin protects against cataracts, cardiovascular disease, and cancer. Absorption of quercetin from onions is twice that from tea and more than three times that from apples which are two primary known sources of quercetin. Garlic: If garlic had been created in a lab instead of by nature it would be a high-priced prescription drug. Medical studies show garlic can lower cholesterol, prevent dangerous blood clots, reduce blood pressure, prevent cancer, and protect against bacterial and fungal infections. Peppers: good source of Vitamins A & C, potassium, fiber, and folic acid. Hotter peppers are also good at maintaining healthy sinuses and speeding up metabolism. Cilantro: very low in calories and contains no cholesterol. However, its deep-green leaves possess good amounts of antioxidants, essential oils, vitamins, and dietary fiber, which help reduce LDL or "bad cholesterol" while rising HDL or "good cholesterol" levels. The herb is a good source of minerals like potassium, calcium, manganese, iron, and magnesium. It is also rich in many vital vitamins, including folic-acid, riboflavin, niacin, vitamin-A, beta carotene, vitamin-C.
About SimplyFresco, LLC: Ricardo Rodriguez and Michael Kennedy founded SimplyFresco, LLC in December 2005. Currently, SimplyFresco is owned and operated by ex-Pace Picante Foods Executives that made Pace Picante Sauce the number one salsa in the Mexican Food Sauce category. From its inception, SimplyFresco has undertaken a pioneering effort to produce the very best fresh refrigerated Mexican Salsa available in the retail market. Locations and More Details: For more information please visit our website cocinafresca.com, the full list of H-E-B store locations will be updated on the website. In a large bowl add the Shredded Chicken, Cream Cheese, Pepper Jack Cheese, & salsa. Mix well! Bake for 25-30 minutes at 375 degrees, or until the Bacon is crispy and the Pepper is tender! San Antonio Salsa Burgers - Top your burger with Cocina Fresca Salsa for a Southwest spin. Or, for a quick and easy recipe -- blend 1 pound of ground meat with ½ cup of Cocina Fresca Salsa, ¼ cup of bread crumbs and your favorite seasoning. Grill until desired doneness. Directions: Mix all ingredients in a large bowl and chill until served. Serve with preferred style of chip.